Passengers are a step closer to experiencing new trains as work steps up on Azuma. The new fleet for the East Coast main line is being built at Hitachi’s Newton Aycliffe factory in County Durham. The factory, home to 730 permanent employees and has recently seen 50 apprentices graduate. This milestone for Newton Aycliffe follows Azuma trains built in Japan being tested on the East Coast route. “We’re delighted that manufacturing has now commenced on Azuma in County Durham. Our customers can expect a fleet of high-tech, modern trains that will deliver more seats and space, as well as faster journeys. 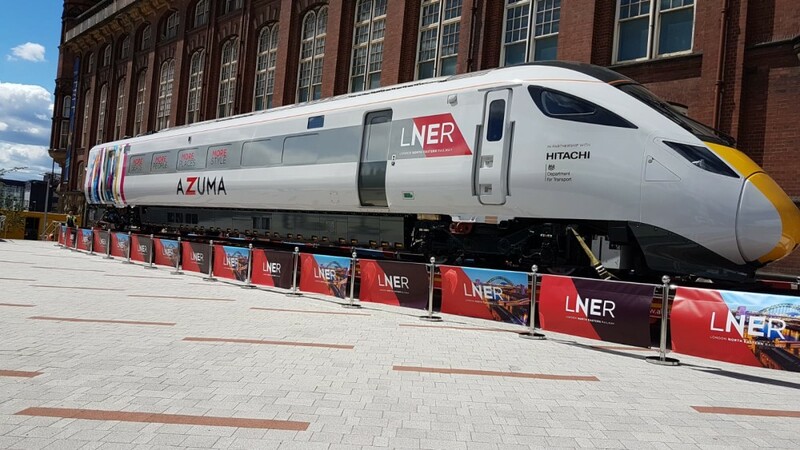 Azuma will play a key role in revolutionising travel on the east coast mainline, delivering first-class service as well as extra services for Bradford, Lincoln, Harrogate and Edinburgh"
“Newton Aycliffe continues to go from strength to strength, now building three separate fleets to serve passengers across the country.